If you are staying at a nice ryokan and it is your first time at a ryokan, this description of ryokan customs will give you a better idea of what to expect. Of course this will vary from ryokan to ryokan. When you arrive at your ryokan, take off your shoes at the entrance and put on the slippers provided. The slippers are used for walking around inside the ryokan. Your shoes will be placed in the entrance when you want to go outside. If you want to take a short walk near the ryokan, you may wear the ryokan’s sandals or geta (wooden clogs) provided. After you check in you will follow your hostess to your room. When you get to your room, take off your slippers before you walk on the tatami (straw mats). 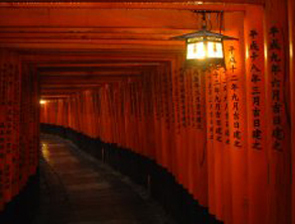 Walk on the tatami with your socks or your bare feet, not your slippers. Your room may have a tokoma (an alcove built into the wall used for placing flower vases and hanging scrolls), a glass enclosed sitting area separated by a shoji (sliding paper door), and several zabuton (cushions) for sitting. Your hostess will show you where to place your luggage. If it rains at night, please be sure to close the outside glass window. Usually a maid will bring tea for you, and you can sit on the zabuton while relaxing and enjoying your tea. 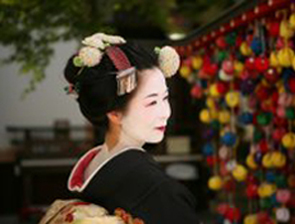 During your stay, a yukata (cotton kimono) is provided for you. You can wear the yukata in your room, around the ryokan, and if you like you can wear it when you take a short walk near the ryokan. If it is cold, a tanzen (outer robe) will be provided for you to wear over your yukata. Before dinner is a good time to take a Japanese style bath. 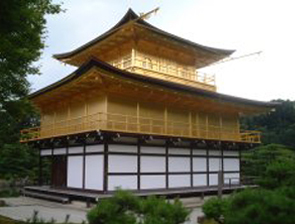 You may use the bath in your room or you may use the large public bath in the ryokan. When you arrive at the public bath, put all of your clothes into the baskets in the changing room. Take the small towel provided for you, and go into the bathing room. The large public bath you will see is only for soaking your body. Cleaning your body is done in the bathing area outside the public bath. There will be small plastic stools for you to sit on, soap, shampoo, and a mirror provided for you. When you have finished washing yourself and there is no soap left on your body then step into the public bath for a relaxing soak. In the evening the maid will either serve your dinner in your room or you will eat in the ryokan’s dining room. When you have finished eating, the maid will take away your plates and prepare your futon (quilt bedding) for you to sleep. 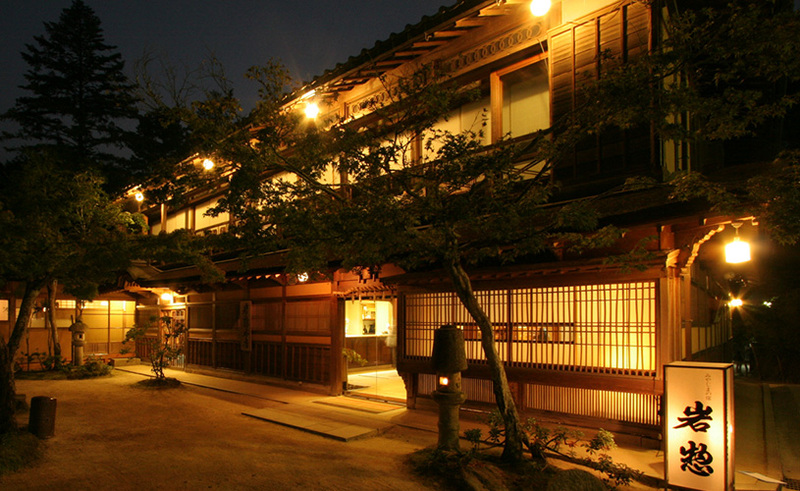 The front desk at a ryokan closes early so be sure to confirm both the check-in and check-out times.